This statistic displays a forecast for overseas tourist spending in the United Kingdom (UK) in 2013 vs. 2017, by spending per country. According to the report, an overall growth in overseas travel spending in the UK is to be expected, brought on primarily by emerging countries such as Russia and China. 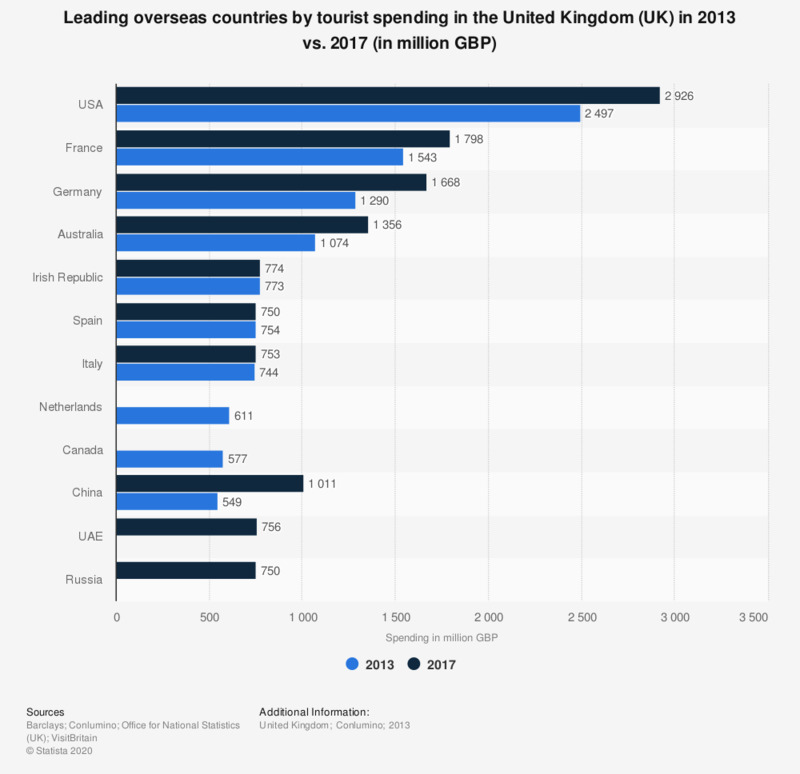 The leading country to bring in UK tourism earnings was the US, with almost 2.5 billion British pounds spent in 2013. This figure is forecasted to reach over 2.9 billion British pounds in 2017. Would you like to visit the following countries over the next 12 months?